Chorus Aviation Inc. today announced it has entered into a firm purchase agreement with Bombardier Commercial Aircraft to acquire nine CRJ900 regional jet aircraft. The purchase was previously announced as part of a measure within the newly completed Capacity Purchase Agreement between Air Canada and Chorus. The CPA extends an operating agreement between the two companies to 2035 and includes an equity investment from Air Canada of $97.26 million in Chorus. In terms of fleet modernization, the CPA outlines a Chorus addition of 14 larger-gauge CRJ900 (76-seat) aircraft of which nine new aircraft are to generate additional lease revenue under the CPA. 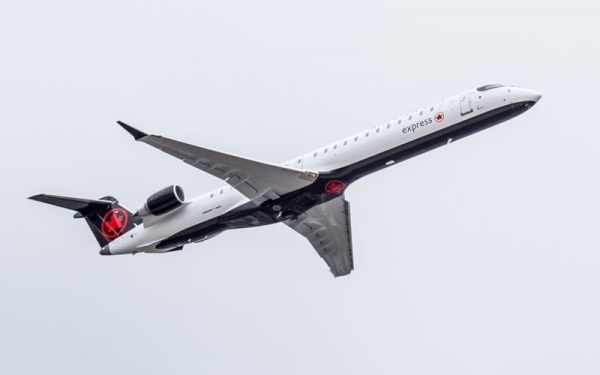 The nine new CRJ900 aircraft order announced today by Chorus will be operated by its subsidiary, Jazz Aviation LP, under the Air Canada Express brand. The nine aircraft will be delivered in 2020. “The addition of these new CRJ900 aircraft is a significant step in modernizing the Jazz fleet with larger aircraft while supporting the continued growth of our leasing revenue,” said Joseph Randell, president and CEO of Chorus. These nine 76-seat aircraft will be configured in two classes of service with 12 seats in business class and 64 seats in economy class, according to Chorus, including 20 preferred economy seats. The aircraft will be equipped with Bombardier’s new ATMOSPHÈRE cabin designed to pro9vide what the company describes as a larger passenger living space, increased overhead bin capacity and more spacious lavatories, among a range of aesthetic details.